Karl Theodor Anton Maria von Dalberg was Prince-Archbishop of Regensburg, Arch-Chancellor of the Holy Roman Empire, Bishop of Constance and Worms, Prince-Primate of the Confederation of the Rhine and Grand Duke of Frankfurt. 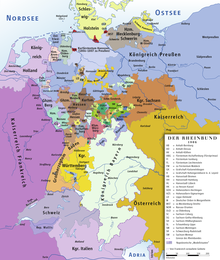 The Principality of Regensburg was a principality of the Holy Roman Empire created in 1803 and, following the dissolution of the Empire in 1806, the Confederation of the Rhine until 1810. Its capital was Regensburg. 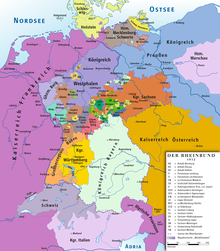 German mediatisation was the major territorial restructuring that took place between 1802 and 1814 in Germany and the surrounding region by means of the mass mediatisation and secularisation of a large number of Imperial Estates. 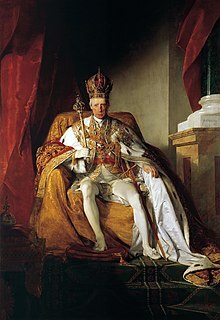 Most ecclesiastical principalities, free imperial cities, secular principalities, and other minor self-ruling entities of the Holy Roman Empire lost their independent status and were absorbed into the remaining states. 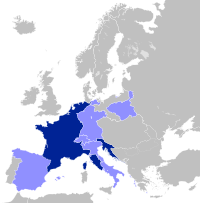 By the end of the mediatisation process, the number of German states had been reduced from almost 300 to just 39. 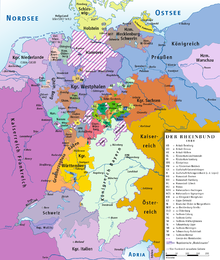 The Grand Duchy of Würzburg was a German grand duchy centered on Würzburg existing in the early 19th century. 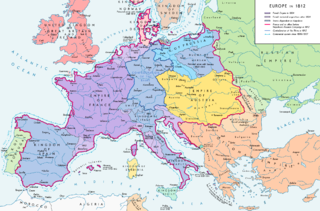 The Grand Duchy of Berg was a territorial grand duchy established by Napoleon Bonaparte after his victory at the 1805 Battle of Austerlitz on territories between the French Empire at the Rhine river and the German Kingdom of Westphalia. The Thurn-und-Taxis Post was a private company postal service and the successor to the Imperial Reichspost of the Holy Roman Empire. The Thurn-und-Taxis Post was operated by the Princely House of Thurn and Taxis between 1806 and 1867. The company was headquartered in Regensburg from its creation in 1806 until 1810 when it relocated to Frankfurt am Main where it remained until 1867.